We’re uncovering why conventional dry shampoo is bad for your hair. Are you a dry shampoo addict or just use it in a pinch? We’ve all been there, maybe you hit snooze a few times too many, or you’re trying to extend your blowout session an extra day. Dry shampoo can be a beauty game-changer but it can also be a hidden source of toxins and future scalp problems. We’re covering all the in’s and out’s of dry shampoo with an easy to follow guide on how to properly shampoo your hair with natural shampoo. An incredible recent study released a few days ago by ScienceMag just revealed that our personal aerosol products, such as hairspray and dry shampoo, could be adding a significant amount of air pollution, and is rivaling Los Angeles car emission pollution via ground level ozone exposure. Yikes. If you don’t know, now you do. Keep on reading to learn why natural shampoo is better for healthy, volumized hair. 1. Does Dry Shampoo Actually Clean Your Hair? ANSWER: The short answer, no. Dry shampoos should not be a replacement for actual hair cleansing and clarifying with shampoo. Our scalps need the benefit of shampoo cleansing to rid our heads of excess scalp oil. If you’ve been relying heavily on dry shampoo to cut down your shower time, we’d recommend only using a natural dry shampoo when you absolutely need it. Otherwise you’re risking damage to your follicles and the potential of dandruff. 2. 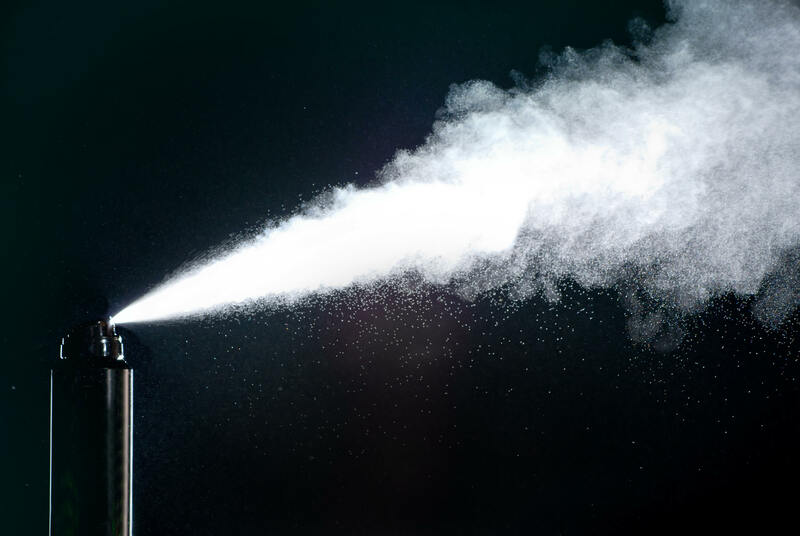 Is Aerosol Dry Shampoo Better Than Powder Dry Shampoo? ANSWER: Absolutely no on this one. While the convenience factor might be enticing - just a few quick sprays to blast away oil - the environmental impact is much worse. Aerosol propellants are depleting and damaging our ozone layer. We need the ozone to shield us from the sun’s harmful UVA/UVB rays and act as our built in sunscreen layer. Without it, NASA has theorized rapid climate change via rising temperatures. We’re not about to jeopardize the entire world just for a few more minutes of snoozing. 3. Is Talc in Dry Shampoo Safe? ANSWER: Another no here, too. While talc is still used in many conventional dry shampoo formulas, it does not mean it’s a “safe” ingredient. The use of talc has been linked to cancer. Safer and natural alternatives are rice, charcoal or bamboo powders. 4. Is Dry Shampoo Bad For My Hair? ANSWER: Yes and no. It can be harmful to your hair if you are relying solely on dry shampoo and not taking the time to properly shampoo and cleanse your scalp and hair in between uses. We live in a high demand, fast paced world, so little shortcuts to get more minutes back in the day can be a godsend. Make sure to use a natural dry shampoo when only necessary to keep your hair and scalp healthy and happy. 5. Can Dry Shampoo cause breakouts and acne? ANSWER: Yes. Same deal here. If you aren’t cleansing and clarifying your scalp, there will eventually be a heavy buildup of powder, oil and dead skin cells which can lead to clogged pores, leading to breakouts and irritation on your scalp. We’re already battling acne on other parts of our body, so let’s leave our head off the table. When you start actively reading ingredient labels, it’s hard to stop. Consciousness is irreversible and pouring over the long list can be slightly addicting (just us?). We scoured the internet to save you time and picked out the top six common (and toxic) dry shampoo ingredients you should be avoiding. It’s all a personal choice, but why use potentially harmful hair products when you can opt for natural and safe? Read below to see if any of the usual suspects are in your dry shampoo brand and check out our natural dry shampoo DIY recipe if you are ready to ditch the toxins completely. We covered talc earlier, when we exposed that it could be hiding in your makeup, and here it is again, lurking in conventional dry shampoos. Talc is used in dry shampoo formulas because of its excellent absorbent abilities, which makes perfect sense until you learn more about its dark underbelly. 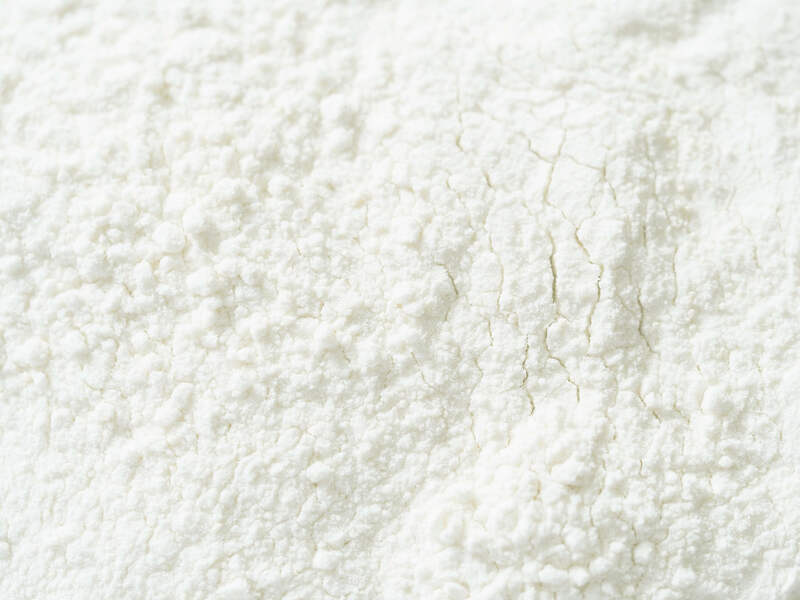 Talc is a material made of magnesium, silicon, and oxygen and may also have asbestos fibers. It’s the asbestos fibers that are the scary part, which can pose health risks such as respiratory toxicity as well as cancer. This toxic aerosol ingredient is what’s jetting your dry shampoo at top speed towards your roots. 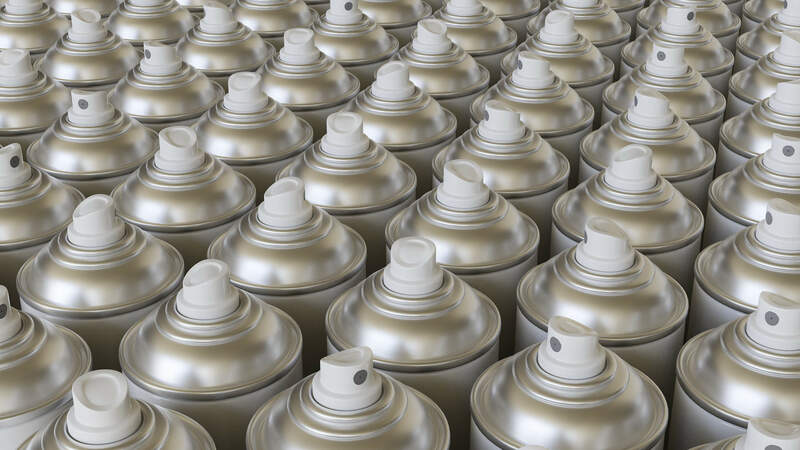 While there can be pump spray bottles or loose powder dry shampoos, the majority of dry shampoos are in an aerosol container. It’s already widely known that this odorless, colorless gas is extra harmful to our precious ozone layer. Additionally, aerosols can make the air around you difficult to breathe, can cause headaches, or even nausea to you and everyone near the area you’re spraying in. Save the earth and the people around you from unnecessary LPG exposure. While this chemical can be found naturally in green tea (go, nature!) we’re talking about the synthetically manufactured version that’s known as a “natural identical.” We’re on team “if it ain’t broke, don’t fix it,” so we’re not sure why anyone would opt for a lab ingredient frankenstein versus the original goodness. Phenoxyethanol’s purpose is to help fight bacteria. The EU and Japan have approved the use for up to 1%, but we can’t help but think of the cumulative effects of this controversial dry shampoo ingredient. The jury is still out on Phenoxyethanol long term effects, but studies have shown it can lead to developmental and reproductive issues as well as being linked to cancer. We’ll take a hard pass and stick with the green tea version. If you are looking to banish hair static, cetrimonium chloride is your conventional dry shampoo ingredient addition. We get it, no one wants to walk around looking like a baby duck’s head, but this toxic dry shampoo ingredient has been classified by the AFH Library as toxic, irritating and allergenic, not to mention lethal if orally ingested. As the US is playing catch up to the world in cosmetics regulations, we couldn't help but notice that the EU Cosmetics Directive only allows a maximum concentration of .1% to be used. If you’re looking to learn about regulations in the beauty industry, read more about how The EU Banned 1328 Chemicals from Cosmetics but the US Banned Only 30. The purpose of dry shampoo is to draw moisture and oil away from the scalp, and this is where alcohol comes in. Alcohol can be extremely drying to our delicate strands and head, absorbing natural oils that are needed for a healthy scalp. Excessive use of dry shampoos that contain alcohol can lead to long-term hair and scalp damage. When dry shampoo is used too often, it can cause dandruff, dryness and blocked pores. If you’ve been following our blog, you already have a good grasp on silicones and why we’re so against them. 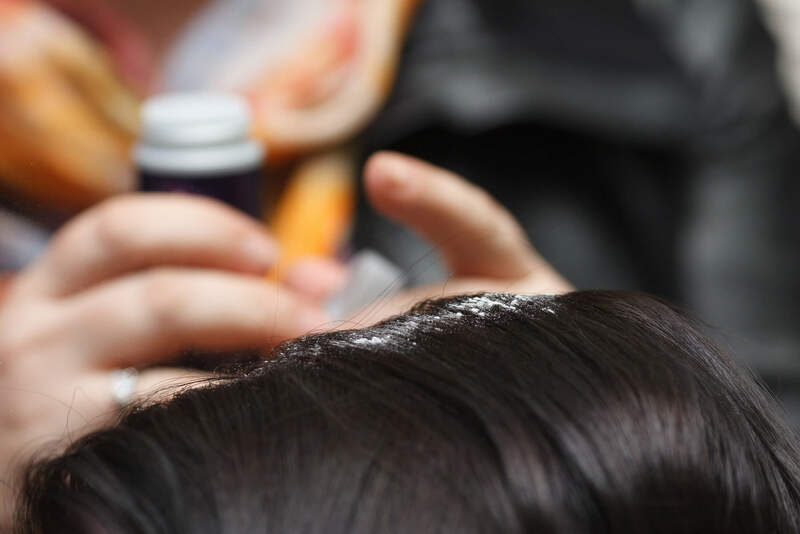 Silicones and siloxanes are used in a variety of conventional beauty products and are commonly included for their ability to not break down during application and to help product formulas dry faster. There has been a slight shift away from this questionable ingredient after scientific studies, and Canada and California have been taking a closer look, but overall, silicones are still very common in personal care products. You might already be a shampoo pro, but if you aren’t sure you’re correctly shampooing your hair, we’ve here to help! To take the guesswork out of your hair care routine, we also created a special hair care bundle to help volumize your locks. We all have different types of hair, and not every natural shampoo works for every hair type. Luckily, we’ve taken the tricky part out of decoding your perfect natural shampoo with a helpful guide on how to choose the correct natural shampoo and conditioner. Whether you tend to be more oily prone or frizzy, we’ve got a natural shampoo for you! While we love a good, hot steam session, your hair doesn’t appreciate it as much. Extra hot water can be drying and damaging to your hair. To achieve the best shampoo results, make sure your hair is extremely saturated with water before applying natural shampoo to your roots. This will allow the shampoo formula to go to work for you with ease and help eliminate residue build up on your scalp and hair. After you are all suds-up, get in there with your fingers and give your scalp a nice massage. Make sure to focus on the entire scalp to help promote growth and get into any areas that have extra oil or dead skin cell build-up. When you feel like you’ve given your scalp a good gentle scrub down, rinse with lukewarm water until all shampoo product has left your hair. The same goes for natural conditioner, pick the correct formula that suits your hair type. Feel free to mix and match between the hair care collections. Once you’ve gently squeezed out the excess water in hair after shampooing, apply a generous amount of conditioner to the strands, avoiding your roots and base of your scalp. This will help prevent oily roots. PRO TIP:When drying your hair, avoid harshly rubbing in between a towel. This friction causing motion can lead to hair damage and breakage. PRO TIP:Avoid brushing your hair while wet. When hair is wet, it’s extremely susceptible to breakage and damage, too. Opt for a wide-tooth comb to gently comb strands into place and work out any tangles. If you’re still wondering why it’s worth switching to natural hair care products, let us break you down on the amazing ingredients in our natural hair care formulas. Trade in icky ingredients for lush botanicals and herbs that pack a potent punch of nourishing vitamins and minerals. You’ll be well on your way to 2018 hair goals in no time. If you have fine hair and have been searching for a volumizing shampoo, your hunt is over. 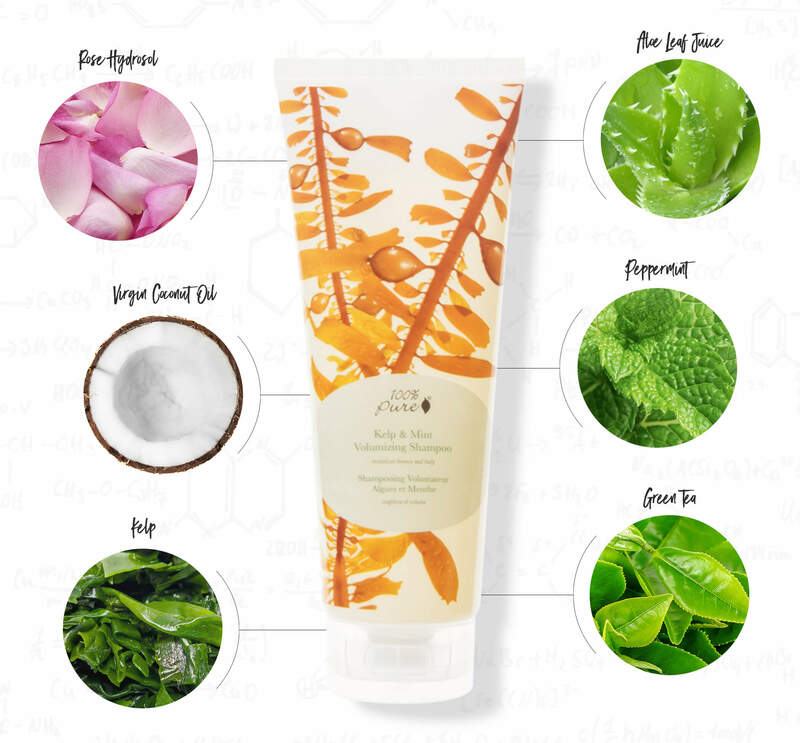 Our Kelp & Mint Volumizing Shampoo checks off all the wishlist boxes. It’s safe for color treated hair, vegan, gluten free and did we mention the invigorating peppermint smell? 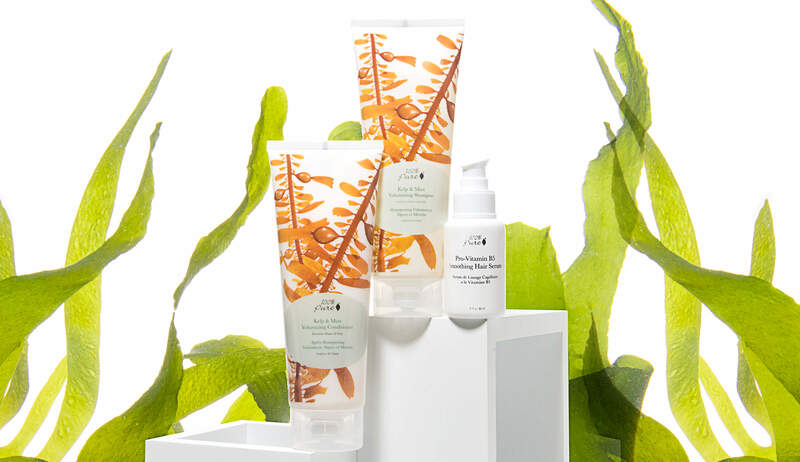 With key ingredients like plant cellulose, peppermint, and kelp, our volumizing hair collection was developed for people with fine hair in mind; this super nourishing formula gives your lovely locks extra fullness, body and shine - three major hair care solutions you’ve been looking for! The gentle zip from peppermint will help to stimulate your scalp, while kelp works on thickening your hair. Who knew that kelp could also add that perfect amount of shine? Did you know that peppermint oil can help stimulate hair growth? Done and done. Remember how cute those baby ducks were? Us, too, but we’d rather not have our hair looking like one. We formulated a natural hair serum to strengthen and smooth your hair all while giving a hefty dose of much-needed vitamins. 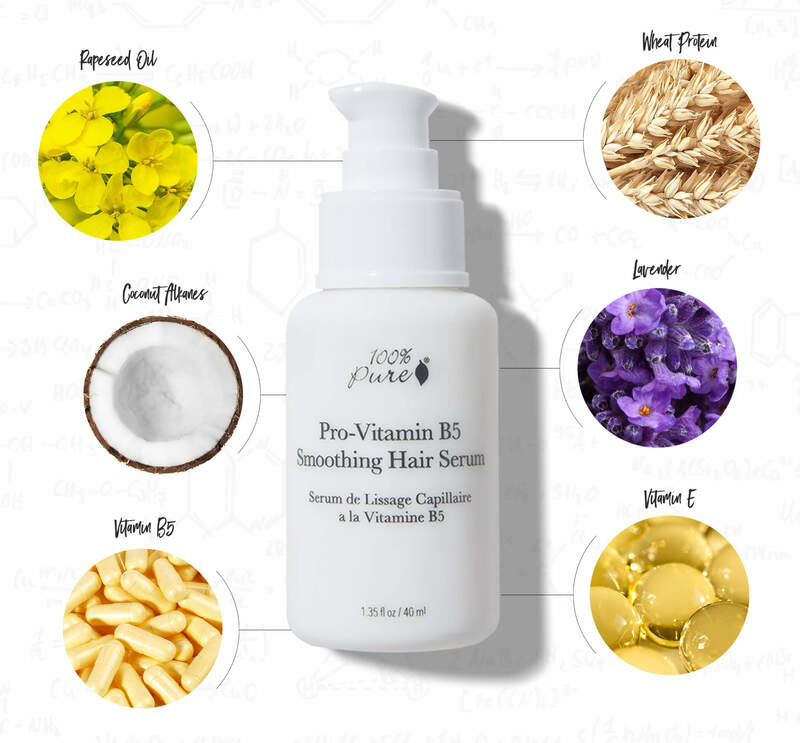 Plant-derived Pro-Vitamin B5 is a nutrient used to promote healthy shine and texture to hair, and plant-derived Tocopherol (vitamin E) stimulates your scalp’s capillaries, aiding in healthy growth and proper circulation at the root. This healthy serum is a true multitasker all on its own, as it smoothes away frizz and leaves a naturally silky, healthy shine while feeding hair roots, shafts and cuticles beneficial nutrients to protect and strengthen each strand.